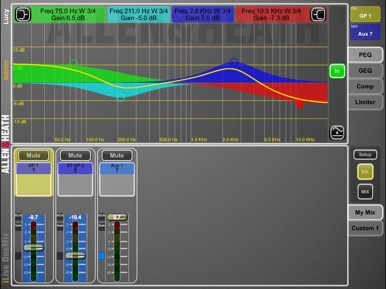 iLive OneMix personal monitor control application V1.95 for iPad. OneMix is a cut down version of the iLive MixPad app that locks control to a single Aux mix. 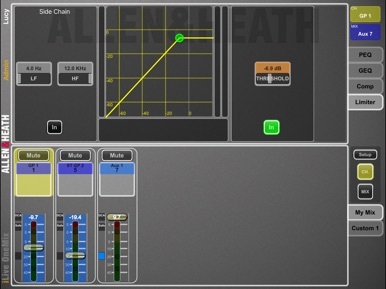 Multiple iPads may be set up by the ‘Admin’ user to give each musician customised personal monitor control via Wi-Fi connection to iLive without the risk of affecting the other monitors or FOH main mix. V1.95 is a maintenance release of OneMix for iLive. It is compatible with iLive systems running a version of V1.9 firmware. OneMix does not support Dual-Rack. iPad with iOS5 or higher. 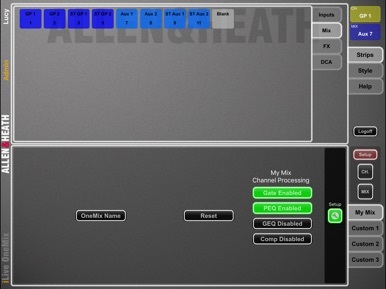 Any iLive MixRack running firmware version V1.90 or higher, and with a suitable Wi-Fi router (wireless access point) connected to one of the iLive NETWORK ports. The iLive firmware version maintenance number does not need to be identical to the OneMix version, for example OneMix V1.90 will run on iLive V1.91.